I don’t often gush over beauty products. Considering I used to work in the industry, I have blocked most of my training out and I just survive on a pretty basic, boring little bag of beauty products. To be honest, I probably need to change this around a little, especially in the make up department. But I have recently found two products I just love, and I couldn’t help myself. I need to gush. When M was about 15 months old, I began to get eczema on one of my fingers. It quickly spread all over both hands and became quite painful, my hands swelled up, cut open and it was just plain horrible. I paid too much for naturopathic creams, steroid creams, special lotions and vitamins... I tried so many potions. Some would help for a little while but it always returned with a vengeance. I spotted this cream in the AVON catalogue and thought I’d try it. It did say “for extra dry skin”, and that sold me. That, and the $2 price tag. Yes, $2. That’s the most I’ve ever paid for it. I have about 10 tubes stashed in my cupboard and then one in every bag, near my bed, in the car and at work. This cream rocks my world hands. It seriously helped fix my hands. The dryness does return when I have had my hands in water too much, when I’ve been cleaning or when I accidentally spill garden fertilizer on my hands, but it helps fix it up in a day or so. Love this cream. Seriously. Love it. Hit your local AVON lady up for it. I have quite fair eyelashes and I need mascara. I’ve been searching for the perfect one for years. 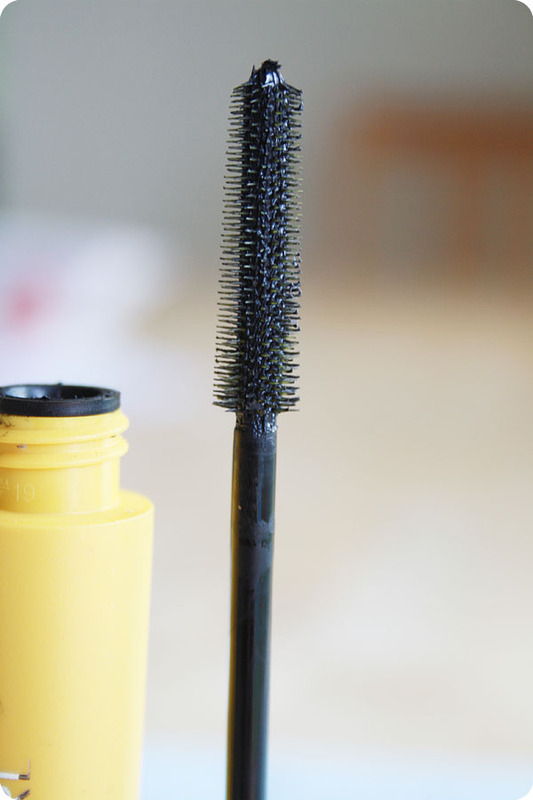 I’ve tried quite a few budget mascaras and I could never just stick to one. I don't spend more than about $15... on anything, really! Recently I’ve had some disasters. I bought a Maybelline Colossal mascara but failed to notice the word “diamond” on the packaging. I loved the volume. However, after months of thinking I had constantly had M’s glitter in my eyes (our house is dusted with glitter from the continual artsy crafting) I finally realised it was the damn mascara. Diamonds = tiny glittery bits. No like. And even more recntly, a mascara purchase quickly hit the bin. I’m not into this clumpy mascara look. This Lash Blast stuff rocks. It's a simple, straight, clean brush. It coats my lashes evenly. Makes them black. And that is it. That's just what I want. Do you have any products you just love? Can't do without? I use Shiseido's mascara. I had a sample once that I used until the teensy bottle was scraped bare. It coats them in what looks like vinyl so my already long/black lashes look false. 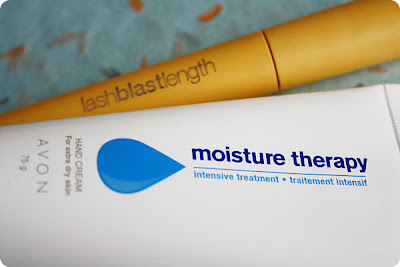 Excellent for over the top eyes (Though often I just use vaseline on my lashes - wet look, no volume, no irritation). I should start using a hand cream. I have noticed that my skin is actually starting to look my age - it's weird seeing little wrinkles on my hands.